SINDHUPALCHOWK, Nov 15: Many quake victims in Sindhupalchowk are rebuilding their house on the same land which experts had deemed vulnerable earlier. These victims claim that they are building houses in such lands under compulsion and add that they did not wanted to return to the risky settlements. 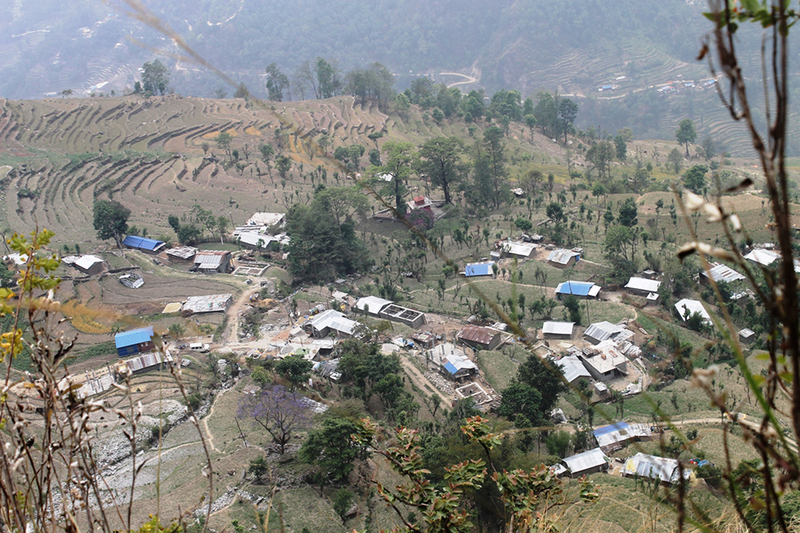 During the devastating earthquake of April 2015, houses in Sindhupalchowk had turned to rubble. There were many human causalities in the district alone. Survivors had started living in a makeshift huts after they lost their houses. When these survivors could not find safer lands to build their houses even after three years, they have started building houses in the very vulnerable land. "We have no choice. And the government also did not provided any option," Prem Mukhiya of Jugal Rural Municipality said. "The money that the government has provided is not sufficient for us to migrate elsewhere." Mukhiya was rendered homeless on the devastating day along with thousands of others. With his family he spent night under the open sky for several days. Later, he and other victims settled nearby a jungle in huts. Days passed, but they were not provided any safer location by the government to settle down. "It took time for the government to ask about our condition. Though we received some relief materials in the starting, later on that also stopped," Mukhiya reminisces. "Later, nobody visited us and the dream to build house gradually began to feel unrealistic." However, later on victims like Mukhiya were approached by the officials of National Reconstruction Authority (NRA). They told the victims that they would get funds to build new house. The initial installment given by the government was Rs 50,000. "Some people started building house with that amount. But since we did not have a safe land to erect house, it was not possible for us to start building our homes," Mukhiya laments. Despite warnings from NRA officials against resettlement, quake victims have started building houses in those villages. They claim that they cannot buy land with the meager grant provided by the government and were resettling in lack of better option. After field visit experts deployed by the NRA had categorized some of the lands in Sindhupalchowk as extremely vulnerable. They warned against resettlement in 10 villages. This affected over 600 families living in those villages. Of these, Tapgaun, Khimare and Gumbadanda were termed as the most risky villages for settlements. 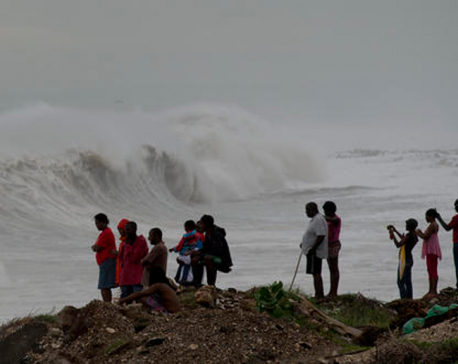 Others were listed as vulnerable, yet, not as risky as those three villages. However, now victims are rebuilding houses in those very villages. "Even though the reconstruction authority had recommended relocation of those settlements, the victims are getting back to their villages. They are building house there," said Bharat Kumar Thapa, an NRA official for Jimla area of Sindhupalchowk. "They are not paying attention to the warning issued by the NRA earlier." He added that the victims are 'reluctant'. They don't want to shift anywhere else. Cracks are clearly visible on land where the victims are building house. Along with the cracks, landslides have also left those areas extremely risky. 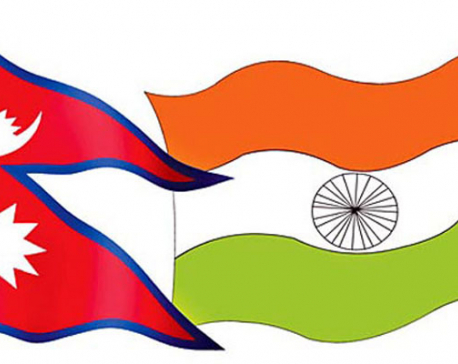 Thapa stated that the victims have been asked not to continue with their plans. "However, they are not listening to us," he reiterated. Thapa stated that 186 houses have already been built in those risky settlements. The constructions of more houses are underway. He said that the victims went on with their plan to build houses in the risky land because the government could not do the needful. "Actually, the reconstruction process started very late. And even after it kicked off, the procedures were lethargic. Here, the list of the vulnerable areas was made public only after the experts submitted their report," he said. The authority had provided Rs 200,000 extra for the victim families of such vulnerable settlements so that they can migrate elsewhere. However, locals claim that the amount is very small compared to the money they require for buying new plot of land to migrate. Many of those families have already received house grant. Thapa stated that their selection of land for building their houses has put the NRA in a problem. "They are building house in highly vulnerable areas. This is against the government criteria for receiving state grants. So, whether the authority should release their remaining installments or not is now a question," he said. Mukhiya objected against Thapa's assessment. He instead accused the government of failing to understand the victims' problems. "For years, they kept us in a pathetic condition. They did not care whether we have a house to live in or not. Those who had a better financial condition were still at ease, but the people like us had no choice. We had no option other then to build the house on the land we have," he said. "The money the government gave us, can that buy us land for making a house? Instead of money, why didn't the government provide us safe land? We are ready to migrate anywhere the government provides us land to settle," he added.